Joey Wong seems a bit dazed. “This is my eighth or ninth interview today,” she says. That morning, she launched a new single from her album My Tale, and she had spent the rest of the day in a blitz of media attention. 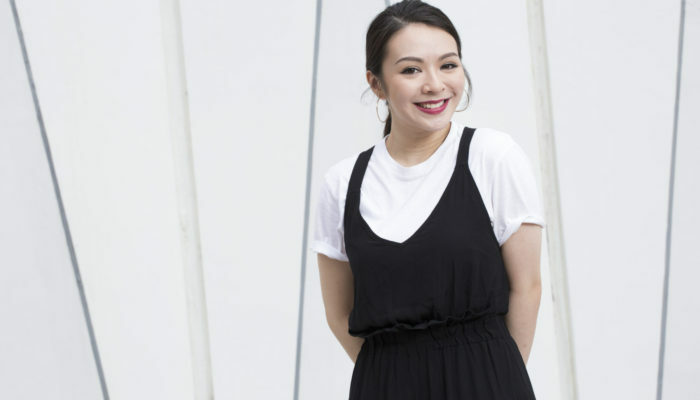 But the up-and-coming Cantopop singer — better known as JW — seemed to pick up energy as she delved back into her days as a student at ESF South Island School. Joey has particularly fond memories of the geography class taught by Ava Khalfaoui. “She was a really good teacher,” she says. She still remembers Ms. Khalfaoui’s enthusiasm, good humour and skill at making things relatable. “She made me love geography.” In fact, Joey applied to study geography at King’s College in London, where she graduated with a degree in 2012. But her career took a different turn, all thanks to a lifelong passion she never expected to earn her a living. When Joey was in primary school, her sister enrolled in a singing competition. A bit of sibling rivalry motivated her to do the same. “I thought, if my sister can do it, I can do it too,” she says, laughing. She ended up winning her first competition, which encouraged her to keep singing after school. It was a call came from Amusic, the record label founded by Cantopop megastar Leon Lai. “Someone asked if I wanted to meet Leon Lai, and I said ‘why not!’ ”. She didn’t know what to expect. “I met him in sandals and shorts and a t-shirt,” she recalls. He listened to a demo that she recorded at a friend’s house. The next day, he offered her a contract. Joey wasn’t ready to give up her studies, so she negotiated a deal with Leon Lai that allowed her to record music during her school breaks. Although that meant she had to miss out on holidaying with friends in Europe, she found it rewarding. During that period, she gained a chance to work with one of Hong Kong’s most renowned singers. Joey returned to Hong Kong when she graduated and expected to launch into a busy career. Butz free of the obligation to balance her studies with her singing, she suddenly found a lot of time on her hands. “I got a bit lost,” she says. Her career was slowly taking off, but it wasn’t until she left Amusic for a smaller record label, Sunny Ways, that Joey finally felt satisfied. “It has to be something you are constantly passionate about,” she says. Thinking back to her time at SIS, Joey recalls how she helped launch the school’s fashion show, The Innovation, which still takes place today. She also remembers being chosen by the principal to perform in front of the whole school — but it’s a bittersweet memory: when she gets up on the stage, she was too nervous and forgot her lyrics. “I screwed up half the song,” she says. It was a singer’s worst nightmare. Luckily, flubbing lyrics isn’t a problem these days. Joey still gets nervous before performing, but she now has the experience she needs to conquer the stage. Last year, she performed her first concert in Star Hall, which has a capacity of 3,600 people. Next year January, she is going to accomplish her dream of singing at the Hong Kong Coliseum – the Mecca of Cantopop. In the meantime, she has been busy working on the songs for My Tale, which were written by respected songwriter Abrahim Chan Wing-him. “We sit down and talk and we would write songs about my love life,” says Joey. She says she hopes her songs encourage people to communicate more in their relationships. Joey says it has never been easier for aspiring singers to follow in her footsteps. 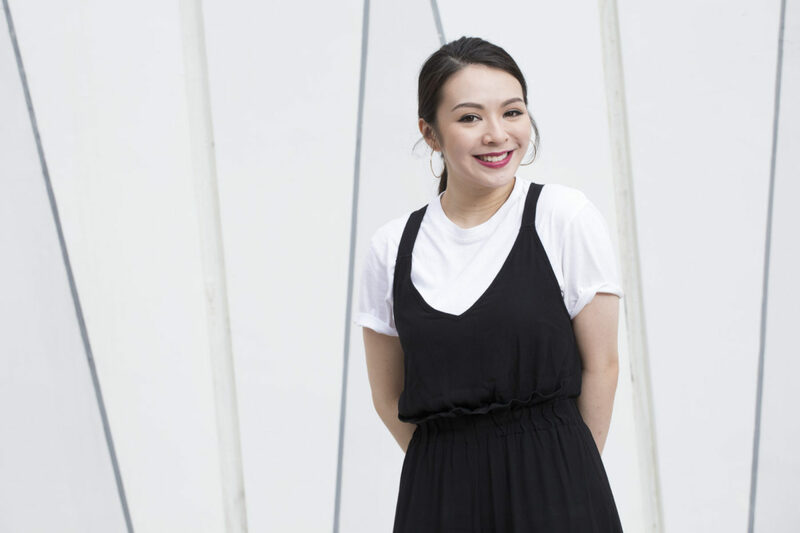 Though many have been pessimistic about the future of Cantopop, she feels like the tide is turning, with a young generation of dedicated artists. The rise of YouTube helps, too. “My advice is to keep exploring different opportunities,” she says. And with that, Joey smiles and moves on to her next interview.